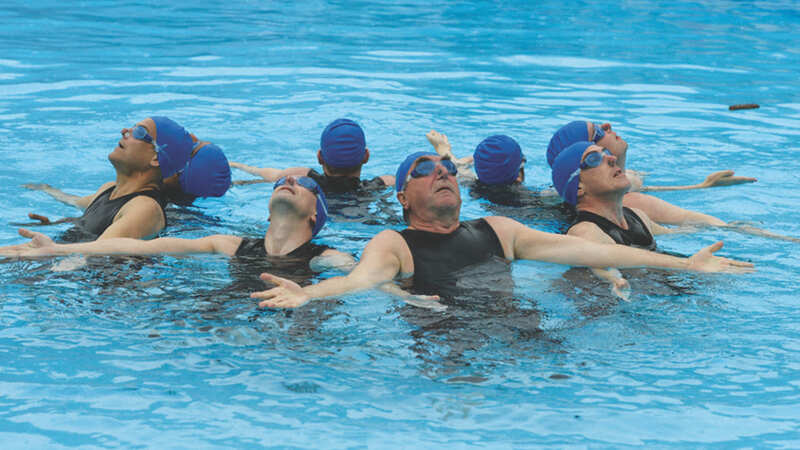 Faced with a full-blown mid-life crisis, accountant Eric (Rob Brydon) joins an all-male group of synchronised swimmers, discovering that making patterns in a pool can, for a couple of hours at least, smooth out the bumps in his work and marriage. Initially keeping their personal lives in the locker, the ramshackle squad and coach Susan slowly learn to reveal their inner lives, as well as their paunches. But can they get their lives and routines in sync as they embark on an unlikely journey to Milan to compete in the World Championship?